Successfully Added USB Flash Disk 16GB - High Quality Black Protected Case to your Shopping Cart. 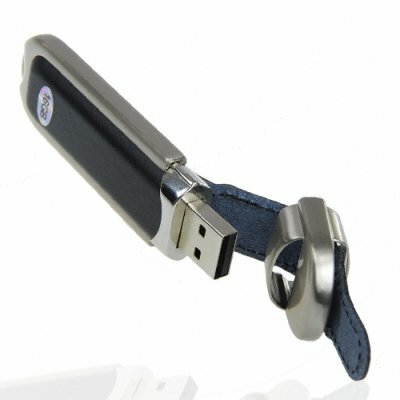 High capacity 16GB USB flash drive covered in a metal and high quality faux leather casing for safe and easy portability. With its attractive design, inspired directly from traditional leather knife holders, this little USB flash drive easily fits into your pocket or on a lanyard / keychain, and will carry your valuable digital files around with you wherever you go. A low wholesale price and easy shipping make this a great high profit re-selling item for featuring in your physical or online store. Available for single piece or stock orders now. From the original direct from China wholesale electronics supplier, Chinavasion. it easily fits on a keychain, lanyard, etc. Great as a gift; load it up with pictures to give to newlyweds, college students, relatives at Christmas, etc.